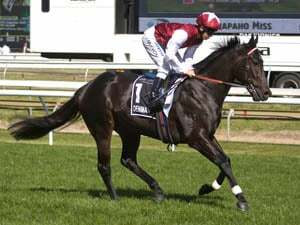 Now the winner of eight of her 24 starts for prize-money of $1,455,895, Kenedna was formerly trained by Darren Weir and won two G2 races among seven wins for his stable. 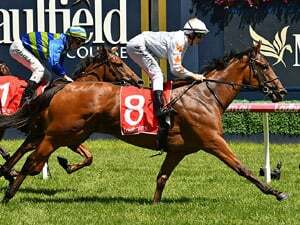 Bred by Arrowfield Pastoral, Kenedna was having her 16th consecutive start at stakes level and just her third outing for trainers Ciaron Maher and David Eustace after they inherited her from Weir. Maher also won the race in 2016 with Azkadellia (Shinko King) when it was known as the Queen Of The Turf Stakes. 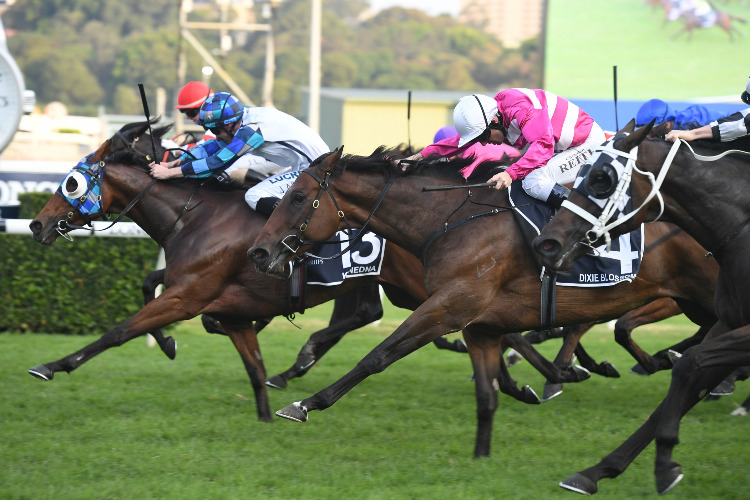 Kenedna (Not A Single Doubt x Miss Dodwell by Falbrav) completed a Group double at Randwick for the sire after his exciting 3YO Classique Legend (Not A Single Doubt x Pinocchio by Encosta de Lago) won the G2 Arrowfield Stud Stakes, becoming the stallion’s 64th stakeswinner. Kenedna, an $80,000 Melbourne Premier Yearling Sale buy for Darren Weir, John Foote and MDR Bloodstock, is a half-sister to three winners including the G2 winner and multiple G3 winner Spill The Beans, a son of Snitzel now at stud. Her winning dam Miss Dodwell is a half-sister to the G3 winner Yammer (Bellotto) and the Listed winner Blab (Flying Spur), the dam of G1 Flight Stakes winner Speak Fondly (Northern Meteor). 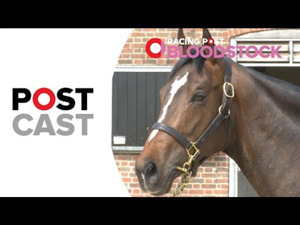 Miss Dodwell is out of a half-sister to the former Australian Horse of the Year Bounding Away (Biscay). Miss Dodwell produced a brother to Kenedna last year and was again covered by Snitzel in 2018. The Coolmoie Legacy Stakes marked the last career runs for the runner-up Dixie Blossoms (Street Sense) and her Ron Quinton-trained stablemate Daysee Doom (Domesday) with the pair of G1 Coolmore Classic winners off to stud. Dixie Blossoms is booked to Exceed and Excel and Daysee Doom will visit Kementari this spring. 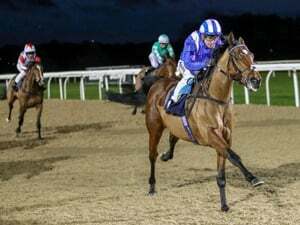 Classique Legend has now won three of his four starts and is a potential G1 winner for trainer Les Bridge if he is not transferred to Hong Kong by his owner Bonaface Ho. Bred by Wallings Bloodstock, Classique Legend topped the 2017 Sydney Classic Yearling Sale when Carmel Size purchased him for $400,000 on behalf of the Hong Kong based owner. "I train a lot of horses for him and every now and then he'll pick one out and take it to Hong Kong. The last one was Southern Legend," Bridge said. "I'm just hoping this one is too good to go to Hong Kong with the sprint races we've got here. I think he's a real good horse." Southern Legend, also by Not A Single Doubt, on four races for Bridge before joining the Caspar Fownes in Hong Kong where he is now among there best G1 performers. Classique Legend’s winning dam Pinocchio is a full-sister to multiple G1 winner Racing To Win and half-sister to G3 winner Purrealist (Tale of the Cat). The family includes G1 winner Herculean Prince (Yamanin Vital) and G2 winner Mardi’s Magic (Kenny’s Best Pal). Pinocchio also has an unraced 2YO by Sebring who made $575,000 at the 2018 Easter sale and produced a colt by So You Think last spring before going to Golden Slipper winner Capitalist.